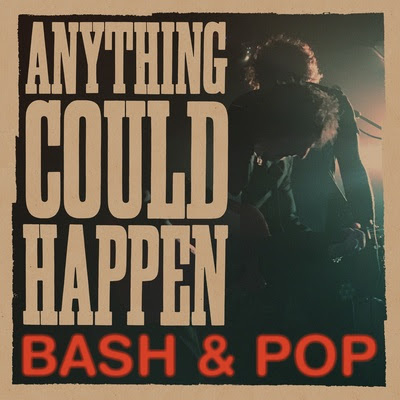 Tommy Stinson, his Bash & Pop mates and Fat Possum Records are proud to present to you “On The Rocks,” the first new track from Anything Could Happen, the long-awaited follow-up to the band’s 1992 debut, Friday Night Is Killing Me. The video can be seen here (or below) and features video clips from the band’s last couple years, starting on January 23, 2015 when Tommy first brought Luther Dickinson, Cat Popper and Frank Ferrer into the studio to begin what would become Anything Could Happen, and culminating in their boisterous live experiences that the fans can expect to see in 2017 and beyond. Both albums are available for pre-order via Bash & Pop’s exciting Pledge Music campaign, which can be visited here. In addition to ordering the new music, fans can Pledge towards unforgettable experiences with Tommy and the band (Tommy officiates your wedding, “Billiards w/ Bash & Pop”, Full Band Kegger in Your Basement) as well as unique memorabilia such as Tommy’s old bass guitars, both smashed AND fully intact.